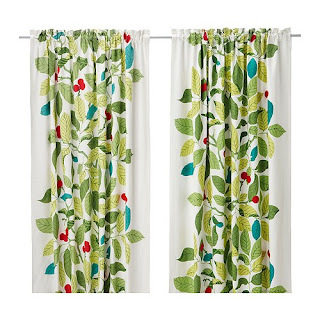 I've been saving pictures of these curtains for some time now and have been excited to share them with you! 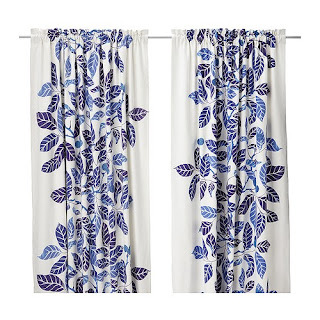 If you're considering window treatments, consider the STOCKHOLM BLAD curtains. They come in 3 colors, brown, blue and green. They are a steal at $59.99 for the PAIR! 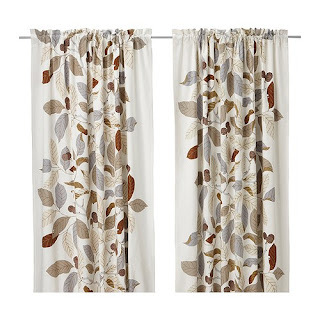 They are graphic, have a "natural" element and are neutral enough to work in several different types of rooms as you'll see in the following pics. It's so much fun to see IKEA pieces used in action and how they can take on different look as you put your own spin on them. Next up, here's STOCKHOLM BLAD in Blue. The shades of blue on this crisp white panel is so classic. 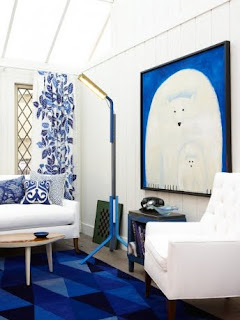 In this photo, Sarah Richardson used it again in a room she created recently for the 2011 Toronto Design Show. I love the modern, crisp feel it gives to the whole room. Lastly, here's STOCKHOLM BLAD in Green. I love how bright and chery this color combination is! 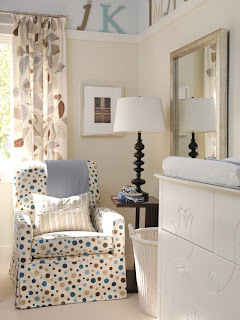 In our last photo, Lauren, from Pure Style Home used it in her son's room. So great! I hope these photos were inspiring to you and help you to get those creative juices flowing! Have a great weekend and I'll see you Monday!